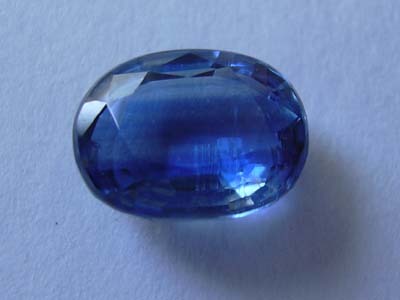 This natural color kyanite gem was faceted in a oval cut from a transparent kyanite crystal that was mined in Nepal. 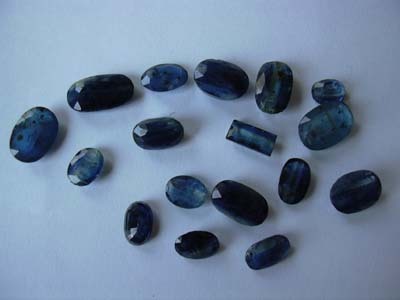 This natural blue Kyanite gem. 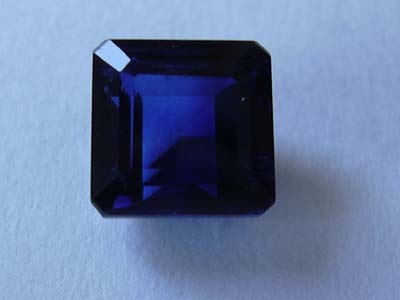 This beautiful gem has very intense fine royal blue color (100% natural color - unheated and untreated) for natural royal blue Kyanite gemstone is 1pc , 5.20 carat @ SOLD. 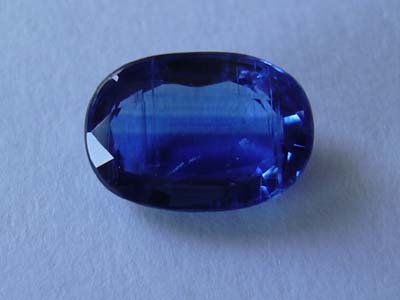 This natural color Kyanite gem was faceted in a oval cut from a transparent Kyanite crystal that was mined in Nepal. 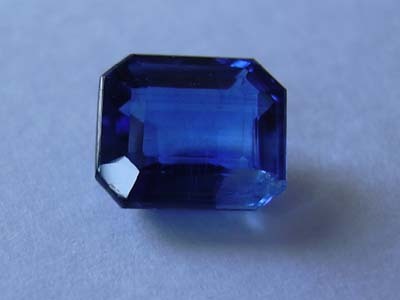 This natural blue Kyanite gem. 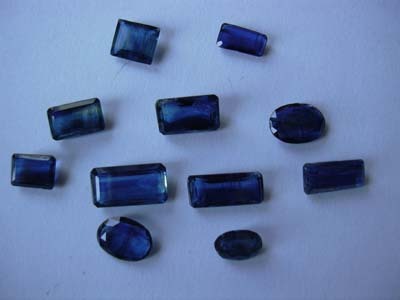 This beautiful gem has very intense fine royal blue color (100% natural color - unheated and untreated) for natural royal blue Kyanite gemstone is 1pc , 4.54carat @100 per carat = $454.00 US$ Only. 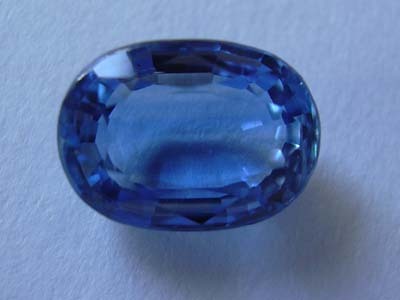 This natural color Kyanite gem was faceted in a oval cut from a transparent Kyanite crystal that was mined in Nepal. 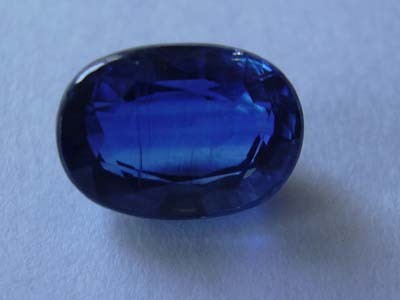 This natural blue Kyanite gem. 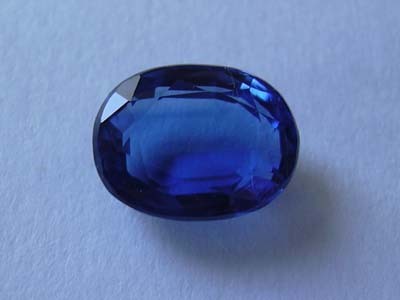 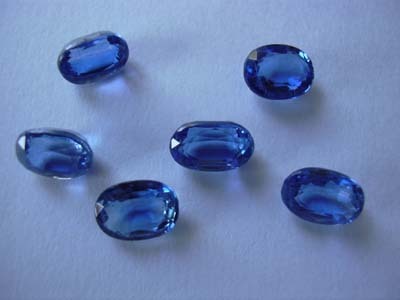 This beautiful gem has very intense fine royal blue color (100% natural color - unheated and untreated) for natural royal blue Kyanite gemstone is 1pc , 4.40 carat =SOLD.